On the day after an Israeli mother was stabbed to death by a Palestinian terrorist, U.S. Ambassador to Israel Dan Shapiro condemned Jerusalem over its West Bank housing policies, and also alleged Israel mistreats the Palestinian people. Speaking at the INSS security conference on Monday, Shapiro claimed that Israel does not treat criminal allegations leveled against Israelis the same way it prosecutes Palestinians. “Too many attacks on Palestinians lack a vigorous investigation or response by Israeli authorities; too much vigilantism goes unchecked; and at times there seem to be two standards of adherence to the rule of law: one for Israelis and another for Palestinians,” said Shapiro, who has long been Obama confidant and fundraiser. Shapiro helped President Obama fundraise within the Jewish community during his 2008 run for the presidency. Shortly after his inauguration, the President awarded Shapiro by appointing him as senior director for the Middle East on the National Security Council. In 2011, he was named U.S. Ambassador to Israel. Continuing his remarks, Shapiro said the Obama Administration he serves under is “concerned and perplexed” by Israel’s settlement policy. 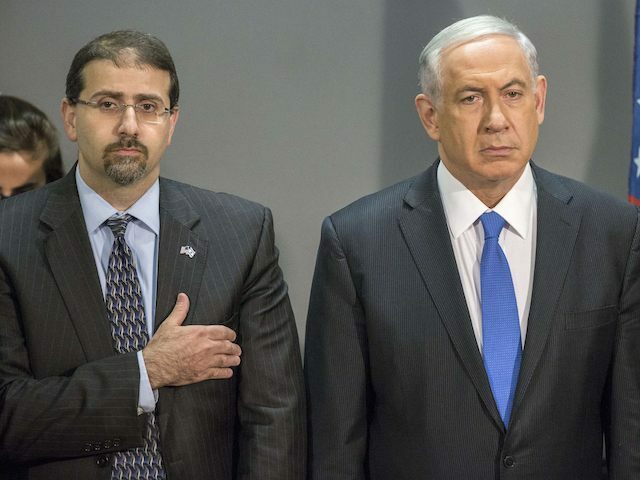 The office of Israeli Prime Minister Benjamin Netanyahu responded shortly thereafter, noting the insensitivity of Shapiro’s comments on housing policy given the events of the day. On Sunday, Dafna Meir, a mother of six, was stabbed to death by a Palestinian terrorist. The U.S. State Department condemned the attack, but refused to place blame on any particular entities. “These horrific incidents underscore the importance of affirmative steps to restore calm, reduce tensions, and bring an immediate end to the violence,” said the statement.